It was not the type of project I intended to do for ANY month in the School Year Challenge. It didn’t fit in the framework of renewing, repurposing, or redoing furniture. Nor did it fit into the category of any sewing project I have been wanting to do. In fact, the original thought as I contemplated April’s project(s) was to strip and repaint the wash tub and white table that I didn’t do in March. Instead, I ended up decluttering and cleaning what used to be my son’s room. And I’m so glad I did! In May, my son Nicholas graduated from college and came back home to live while he looked for a job. He never really unpacked except for the things he used every day. He landed his dream job in October working with a non-profit who helps maintain state and national parks in California. He didn’t need to bring household things with him because he would be spending most of his time in the field working and camping. Two backpacks held everything he needed. There wasn’t a lot of time from when he was hired until the time he headed to California. He left quickly leaving his room a mess! Once he arrived safely in California, I talked with him about his room, the state it was in, and the things he left behind. (He is not attached to material objects and mementos from the past like me.) He told me I could do whatever I wanted with what was left in his room. In February, I purchased Designer in a Binder (DiaB) and selected the option to join the Facebook group for additional support, motivation, and encouragement. 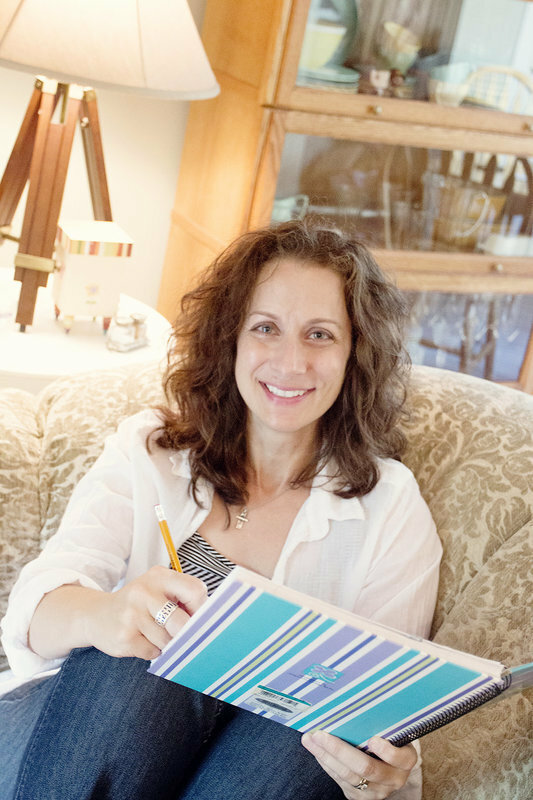 I’m in the beginning stages of trying to figure out how to transform every room in my house, and I knew having the opportunity to interact with others in a similar situation would be beneficial. 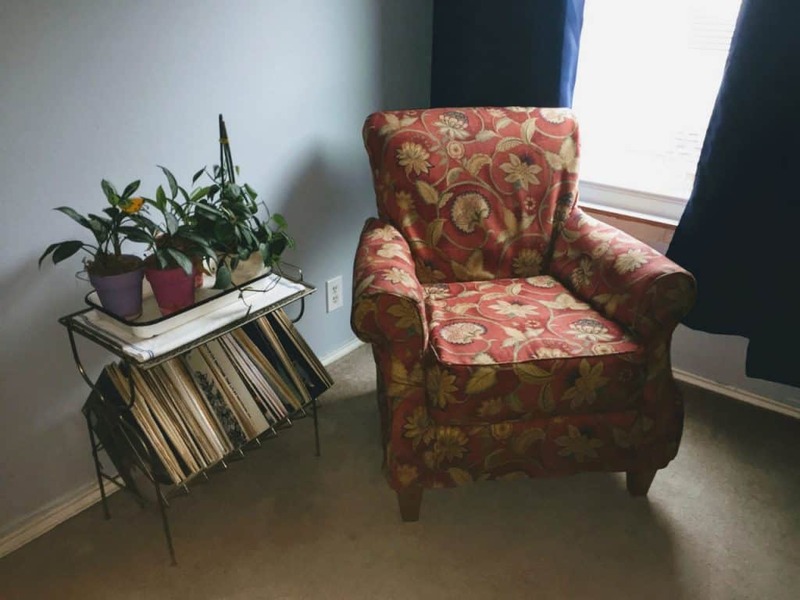 In March, the creator of Designer in a Binder, Tasha Agruso, issued a mini-challenge to the DiaB Facebook group to work on one project in our homes. It didn’t have to be a design project but something we had been putting off for a while. 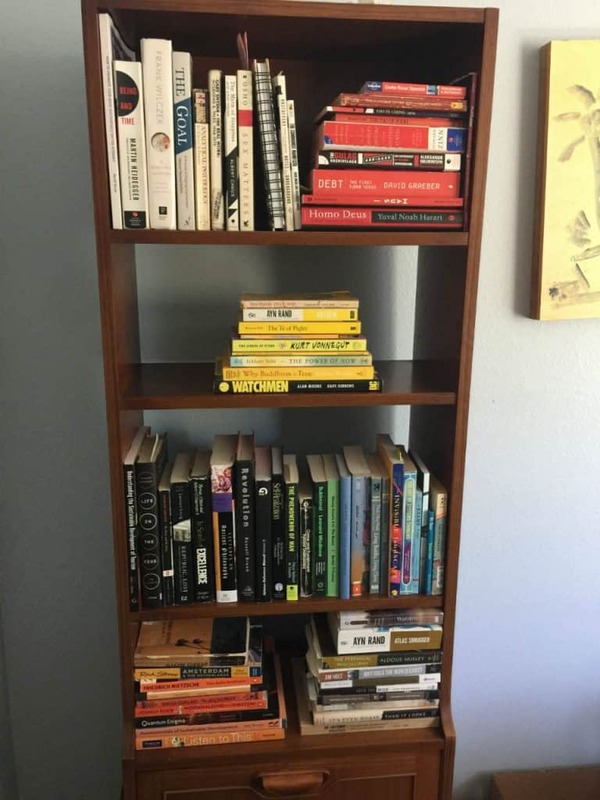 Tasha suggested decluttering as one of the options. Nicholas had been gone 5 months when Tasha issued the mini-challenge. 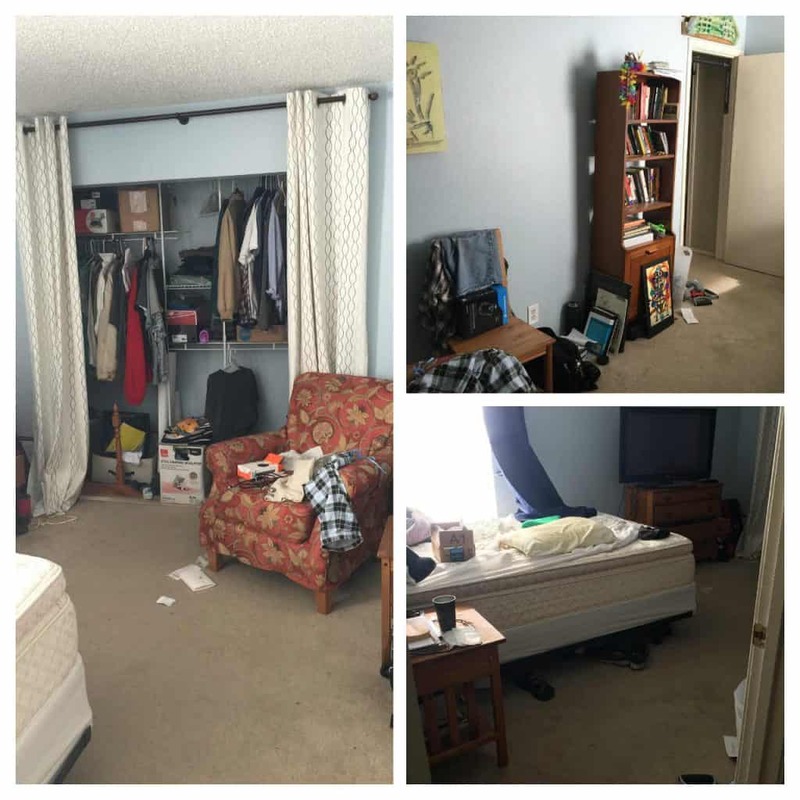 I really wasn’t looking forward to cleaning out his room, so I decided since it had been almost half a year since he had moved to California, it was time to tackle his room. Even though he gave me the go-ahead to get rid of anything he left behind, I just couldn’t do it. I boxed up clothing and items that weren’t trash, labeled it all and stored it in the closet. The next time he comes home to visit, I will make sure he goes through the boxes and makes decisions on what he wants to do with what he left behind. Once all the clutter was cleaned up and put away, the room itself needed a little something. So, I rearranged furniture and made the room more inviting. Since I finished the room there have been a few times I have gone in there to sit in the chair and read my book. The late afternoon light shines in the window with a warm glow and the ambiance is very relaxing. Cleaning and organizing was not what I originally had in mind for April’s projects but I am extremely satisfied with the results. 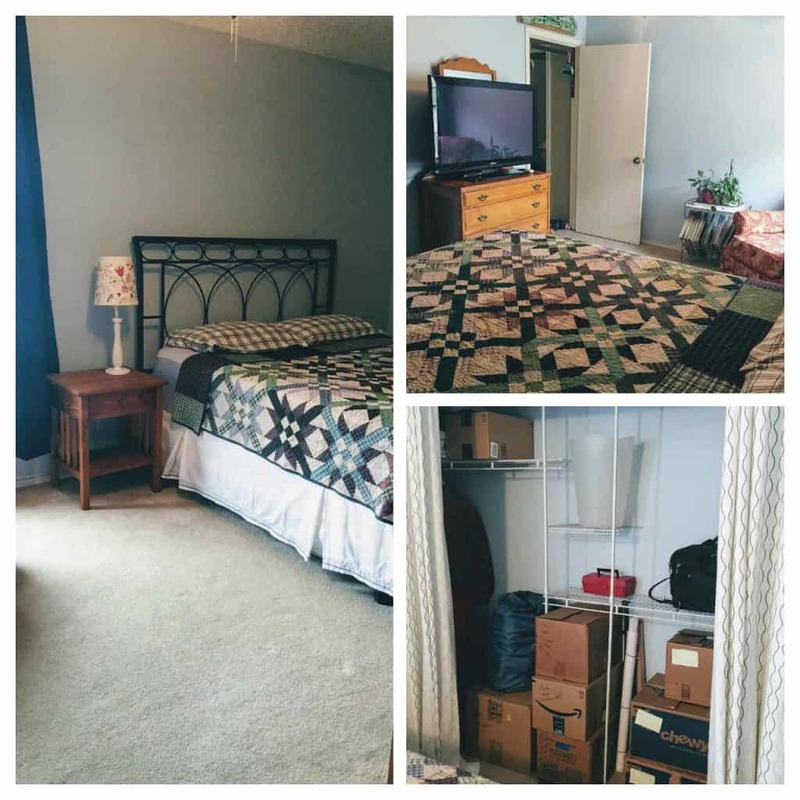 Since it is no longer officially my son’s room, the new purpose of the room still needs to be determined, but I’m basking in the happiness of at least one clean decluttered room in the house! Another successful month in the School Year Challenge!